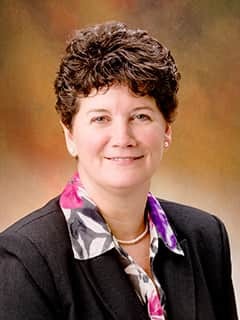 Ellen Tracy, RN, MSN, NEA-BC, is senior director of Oncology and Medical Nursing and Clinical Operations at The Children's Hospital of Philadelphia. As a Director of Nursing, my role is to lead and influence nursing practice and patient safety across the division. I especially enjoy partnering with nurses, physicians, and patients/families to create our culture of safety; developing future nursing leaders and working with nursing leaders to improve the cancer experience for patients and families. My area of specialty is nursing leadership. From a clinical perspective, my area of expertise is grief and loss. Over the 30 years that I have worked in Pediatric Oncology, I am most struck by the resilience of families when a child is diagnosed with cancer and I have learned that nurses are key to helping patients and families cope with cancer diagnosis and treatment. Pediatric Oncology nurses are a unique group, very driven to bring out the best in a family to enhance the cancer experience for each family. I have authored (co-authored) several articles (or presented posters, or lectures) that focus on patient safety and nursing leadership. My research interests are nursing retention, patient safety, and palliative care. Manning ML, McGowan K, Tracy E, DiTaranto S, Bell L. Successful control of vancomycin-resistant enterococci transmission in a pediatric oncology unit: a four year experience. Am J Infect Control. 2001. Tracy E. Vancomycin resistant enterococcus on a pediatric oncology unit [abstract presentation]. Children’s Oncology Group Nursing Meeting, Chicago, IL, Apr 2001. Tracy E. A celebration of the first year of the professional practice model [presentation]. Nursing Grand Rounds, The Children's Hospital of Philadelphia; 2006 Aug; Philadelphia, PA.
Tracy E. Who moved my cheese: navigating organizational change [presentation]. The Children's Hospital of Philadelphia Clinical Nurse IV Forum; 2005 May; Philadelphia, PA.
Tracy E. Creating a program to mentor staff in poster presentations [presentation]. The Children's Hospital of Philadelphia Clinical Nurse IV Forum; 2005 Oct; Philadelphia, PA.
Tracy E. Successful reduction of chemotherapy adverse drug events [presentation]. National Association of Children's Hospitals and Related Institutions Collaborative; 2004 Oct; Philadelphia, PA.
Tracy E. The benefits of professional organization membership [presentation]. Panel presenter, Nursing Grand Rounds, The Children's Hospital of Philadelphia; 2004; Philadelphia, PA.
Tracy E, Simms S. Working with challenging families. University of Pennsylvania School of Nursing Graduate Program; Mar 2003; Philadelphia, PA.
Tracy E. Stressbusters: helping pediatric oncology nurses navigate the rough spots [poster presentation]. Association of Pediatric Oncology Nurses Annual Meeting; 2003 Oct, Philadelphia, PA.